Here, we are told it is possible to run out of time and there is no reversing that time or fate. God never tires of forgiving us; you can stake your life on that. What is sometimes overlooked is the need to ask God for forgiveness and accept God’s Mercy. God loves Mercy and Compassion. We glorify God when we use these spiritual gifts to serve others in need. Workbook for Lectors Gospel Readers and Proclaimers of the Word. Ask for me beloved, anytime you wish. I am Archangel Chamuel – I am here beloved and there are many on this day who love you and want to help you. For us, this is what we are here for, to help bring peace and love into your life- and to help you on this journey of love. We love you and so it is, amen, amen, amen. St. Michael can help you lift anything that seems ‘heavy or low energy’ – even if it feel like “just energy” – it is important to ask for his assistance. After you have asked St. Michael to be with you, trust that he heard you, for all angels can hear your thoughts! You should feel uplifted, if needed, every time you ask. You can ask for St. Michael to clear with his sword , as often as needed. 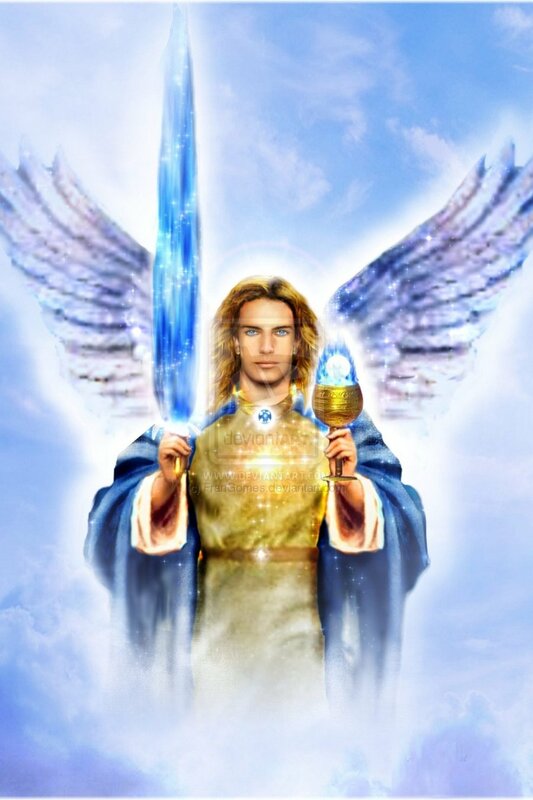 St. Michael’s sword of light is very powerful, and may only be needed every so often. Although a cleansing technique can also be asked for. In this way, St. Michael uses his spiritual vacuum to of light to suction away debris of negativity that you may have absorbed in your energy field. St. Michael is happy to do so, and waits for you to ask. All you need to do is ask, and your field will be cleansed each time you ask. Even if not needed, St. Michael will help you feel your natural state of joy, love and peace. This should be blissful, as your natural state is only love and peace. Your spirit is of love, and of light, and this should be known to all. Your spirit self is love, and joy and peace. Peace shall remain with you when you ask for your natural state. This is a very high vibration and can be felt by those that are sensitive to light. To Heaven, this is always. It is like bringing Heaven to your Earth Body-your holy instrument, which holds the Holy Spirit and your spirit self as one. Your holy instrument (your earth body) can absorb negativity as much as it shines. This can easily be cleansed by St. Michel who loves you. Your free will , will not be violated if you do not wish for St. Michael to help, but he is willing and wants you to ask for him to be with you 24/7. He is here to protect men, women, and children-even pets! He will protect your home, your belongings, and can also help you when you are stranded or alone, or afraid. St. Michael does not want his sword to be worshipped, or for anyone to praise him-for all praise goes directly to God himself. Instead , you can ask like you would a friend, and thank him for his assistance when you ask. He is a friend, is very friendly , loving and wants to help you.”Fear not !” Says St. Michael -“for Jesus has spoken these words and will also always be with you.” You are never alone and are always protected with the Most High, with St. Michael, with His sword and with many countless angels who love you and want to help you. We are here with you now and always. We love you and so it is, Amen, Amen, Amen. than are the children of light. In the phrase, ” Make friends….with dishonest wealth” – perhaps a better translation of the Greek for dishonest wealth would be simply ” worldly resources,” which can often lead one to dishonesty. Worldly resources are not condemned, but should be used wisely, with the understanding that all earthly goods will pass away. If we let go of the immediate and worldly, we will be welcomed into eternal dwellings. Secondly, ” If you are not trustworthy with dishonest wealth,” reminds us that our behavior here on Earth influences our eternity. Greetings beloved all! This is St. Michael the Archangel. I am here for a special message and am here to help you shift your awareness to your life purpose. Your life purpose is a loving purpose beloved. Dear friend, your life purpose is why you came . It is God’s plan for you. At this time, there are many who are shifting into living this purpose. You are one of them beloved. You are on the right path. Ask yourself beloved this: Why do you question this life purpose? Is it because you are not aware that your life purpose is with you now even as you read this? Beloved, ask for me anytime in truth, but do ask for me if you are unsure of your purpose. I can guide you now if you like or when you are ready to the path of your holy purpose. Would you like to infuse your path with your love? Would you like to express yourself beloved through spiritual gifts? Through Love? Through Peace? Would you like to bless each other now? With your holy spiritual gifts and abilities that are God-given? Would your career benefit from this life purpose? Yes indeed! For this career as you have chosen may not be your life purpose if you are feeling like you do not belong where you are. And this is ok if this is what you are experiencing. You have a heart worth lifting and if you do not feel happy when you are at work, ask God for assistance in knowing what your life purpose is. Ask through the Holy Spirit to show you the way. This is a question worth asking! For when you decide to shift your career beloved, to serving your clients, co-workers and loved ones through your spiritual gifts and also through your love, there is always peace. These gifts are God-given , they are holy gifts you were given to love one another, to serve, to use as a vocation, for healing- to use beloved to help others and to encourage others to do the same for each other. A career firmly rooted in your life purpose , can be easy with God’s help, even if this requires schooling, a certificate, obtaining a license or certification- all can be easily obtained. You have a heart that is loving and it is through your heart that your life purpose comes to be. It is your heart in which God places His Spirit, your spiritual gifts, and your life purpose. A purpose is a plan – in this case beloved, we ask you to lift your heart to God, asking Him to guide your heart in knowing your life purpose, and what you came here to do. You are worth every moment of learning , of being yourself, of loving , of helping, of living through purpose. And so it is , amen amen, amen. Blessed be God forever! Blessed to all who hear. This is the Archangels and we are here beloved to lift your heart now and help you grow on this day. Grow in peace, in love and in joy. Peaceful blessings are upon you beloved. We are here to help you shift your awareness to God Himself who loves you beloved. May peace be with you always, and may you remember that we are always here to help you with this. We say to you this beloved, ask for what you need from God . For God can see why you are coming to Him and knows who He is going to use. He knows the exact and precise moment beloved, of His answers, for they go before Him. He sends out His answers beloved and they return to Him tenfold. Shift your awareness then beloved, to the Highest. God is overseeing your life, your loved ones, your families. He has gifted these to you beloved- each family member, each friend are all gifts from God. Give thanks for those you love everyday. Give thanks to God beloved in every day, thanking Him eternally for all He has done. You are blessed, you are one with God’s Holy and Perfect Love and Peace, and you are wanted, you are cared for. You, beloved, are a sweet libation and may your words be made of love and honey. Let us give thanks to God always. Trust in your heart, and know that God does hear you. Know this beloved as Truth. Pray with faith and ask for God’s love now to help you make decisions, make choices. Pray with faith about your life, your future endeavors. Pray beloved to God and allow God to handle everything. Shift your focus now beloved to your heart. Here, we will help you focus on God’s Divine and Eternal Love. Ask for God to pour His love to you. Ask for God to help you in all ways. Shift your awareness to Heaven. We will give to you a Heavenly passageway, of Peace, of Love and of Joy. We will lift your heart to the vibration of love and joy and peace. We will help shift your heart beloved, anytime you wish. Ask the Archangels who love you the most to please help you shift your awareness to this Heavenly Passageway of Peace anytime you wish to feel peace beloved. Ask for us and we will be with you -in great number. We are always happy you asked. May the peace of God be with you. and so it is, amen, amen, amen. Awhile back, the angels had guided me to write on the gospels every Sunday. With love and gratitude, here is the Gospel of Luke 15:1-32. With a loving message behind it. So to them he addressed this parable. The Gospel reading today focuses on God’s Eternal and unending Love and Mercy for his people. It was even highlighted in 1 Timothy how St. Paul noted he too, was treated with God’s Great Mercy , as he had once acted out of ignorance in his unbelief, yet God strengthened Him through Christ Jesus, and appointed St. Paul to his ministry (1 Timothy 1:12-17). 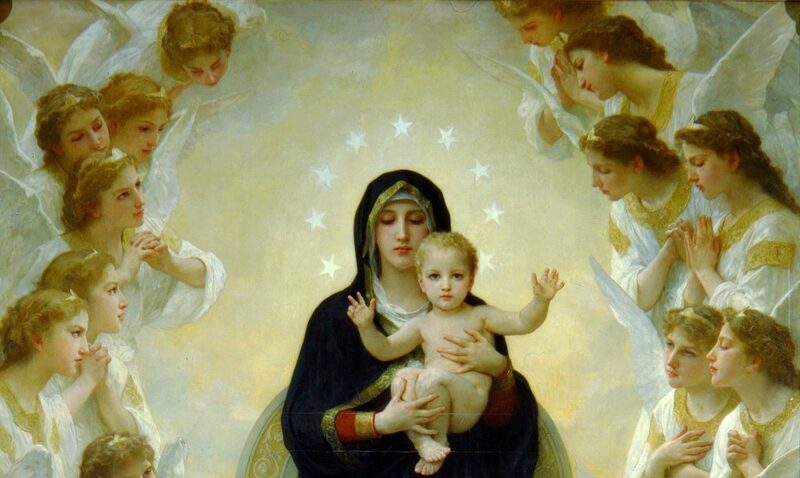 All of Heaven rejoices when one of us turns to God and asks for His Mercy, which is unending. No one is outside of God’s Flowing Mercy. God can see the intentions of our hearts and meets us halfway when we come to Him. God loves each of us very much and not only forgives us, but appoints us as heirs when we come to Him in sincerity, love and faith. God wants us to remain close to Him, as He offers His Great Love, Divine Mercy and Unending Peace to all those who hear and act on his Word.